Titan Poker - bonus up to 1500 EUR, 45% rakeback and free layout! 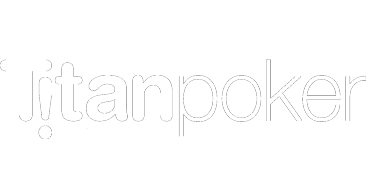 Titan Poker is the oldest skin of the iPoker Network. It is known by poker players around the world as a reliable room and a great site with plenty of tables and good bonuses. Titan Poker has been on the market since 2005. Its parent company is Fastengine Ltd which owns several online casinos, and because of this, the room has a constant influx of recreational players. At present Titan Poker belongs to the iPoker Network and ranks among the ten largest poker networks offering action up to NL1k. Titan Poker has been operating since 2005, and thanks to that, it has action around the clock at almost any stake. During the peak time, the number of connections exceeds 5,000. The accounts on the website can be created in United States dollar, Euro or Pound sterling. If the player chooses a table with another currency, an automatic and free of charge conversion is performed. The most popular games at Titan Poker are short-handed NL tables. There is also action at PLO and 6+ Hold'em. At NLH low-stakes (NL4-NL50), up to 45 tables are visible at the lobby, and for medium-stakes, 4-8 tables are played, including some casual action at NL1k. Omaha tables are also available but as usual, the action is very different and only 7-8 tables are available. 6+ Hold'em is also available at the Titan Poker lobby and up to 10-15 low stakes tables are played. A few tables at NL100 can be spotted during the peak time. DoN (Double-or-Nothing) and Twister SnG are the most popular tournaments of the room with buy-ins up to €100. The MTT grid is mainly about 30€ tournaments with low GTD prizes where the number of participants usually doesn't exceed 200 people. There are also two main events daily with 25k€ and 50k€ with buy-ins up to 100€. Titan Poker uses the very popular platform of Playtech, which has excellent functions and support for more than 10 languages. The main lobby has a very good design and includes all the necessary and very intuitive filters. The tables can be personalized as per user needs, and option for multitable are right there. Lags and delays are very rare in Titan Poker. We need to mention that iPoker software is one of the most stables of the market. TitanPoker supports Hold'em Manager and PokerTracker by default. You can deposit and withdrawal in TitanPoker using all the traditional methods: credit cards, Skrill, WebMoney, Neteller, Click2Pay, Entropay among other e-wallets. Cashouts are processed within 2-3 labor days. You will be requested to cash out using the same method that was used to deposit. iPoker is one of the biggest names in the industry. The gaming field cannot be called a weakest one (although after some geo-restrictions the regulars became slightly smaller). However, the room has excellent software, support for trackers, a very good rakeback and most importantly - action almost around the click in virtually any stake. TitanPoker is the flagship of the network, The room attracts both amateurs and professionals, including also some casino players. The main reasons for choosing Titan Poker are maximum reliability and safety, and one of the top rakeback deals from WorldPokerDeals. In order to get details about this great offer, please add our manager to Skype.